The Fairmont Morgantown Housing Authority received a generous donation today. 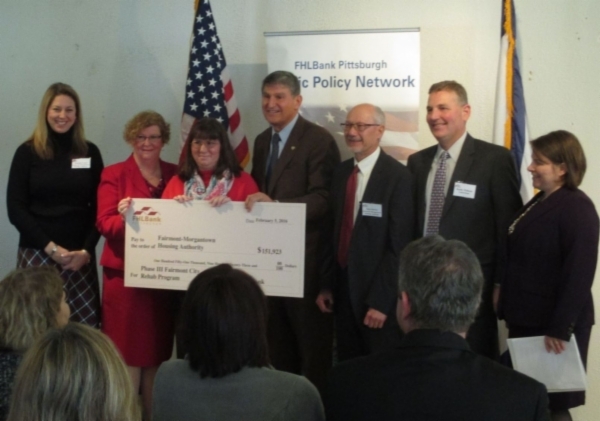 Federal Home Loan Bank of Pittsburgh awarded a grant for nearly 152-thousand dollars. This will help the housing authority provide critical home repairs. Senator Manchin attended the event highlighting the importance of affordable housing and community revitalization. "We've been doing this for several years. With this check, we're just at a million dollars so we've served nearly 70 families in Fairmont which is incredible so we're real happy to have that partnership,” said Homeownership Center Manager, Christal Crouso. Federal Home Loan Bank of Pittsburgh has given about two point four billion dollars in funding to West Virginia.